´Let him sleep, for when he moves, he will move mountains´. 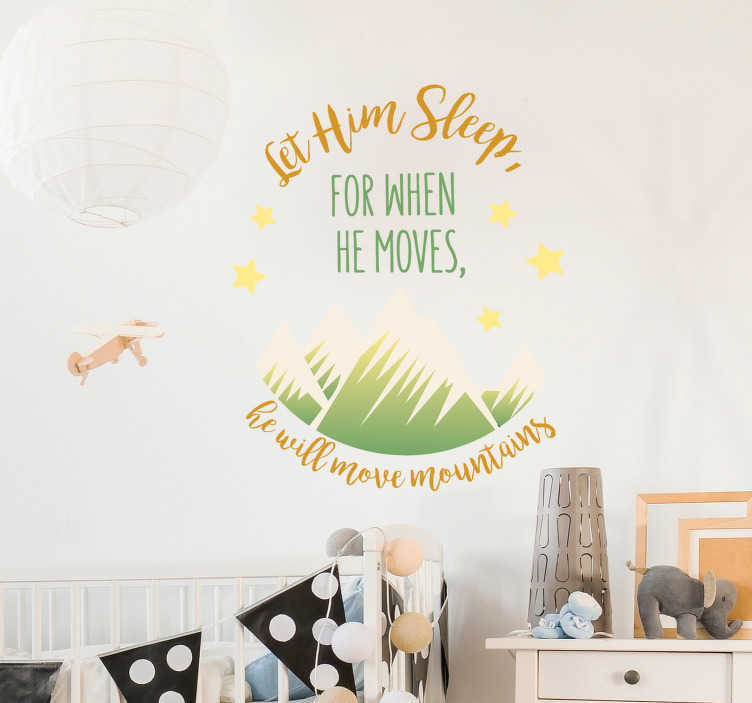 What an inspiring and moving quote, perfect for this gorgeous wall text sticker, ideal for a boys bedroom! There is nothing more important to a child´s growth and development than sleep - How can he move mountains if he is not allowed to sleep? Add this superb piece of bedroom decor to his room to remind all involved that he simply needs to sleep!